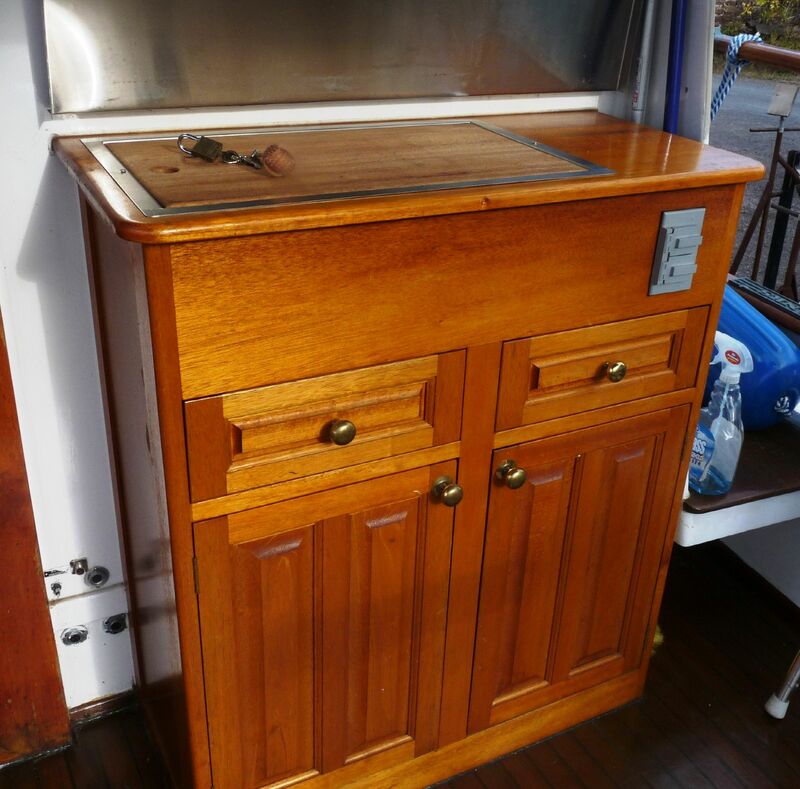 This freshwater classic is in fantastic condition. 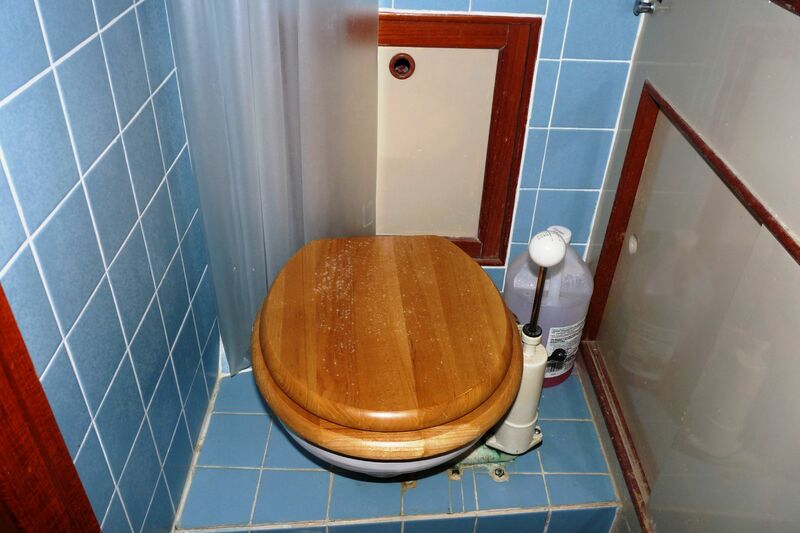 Check it out and call today! 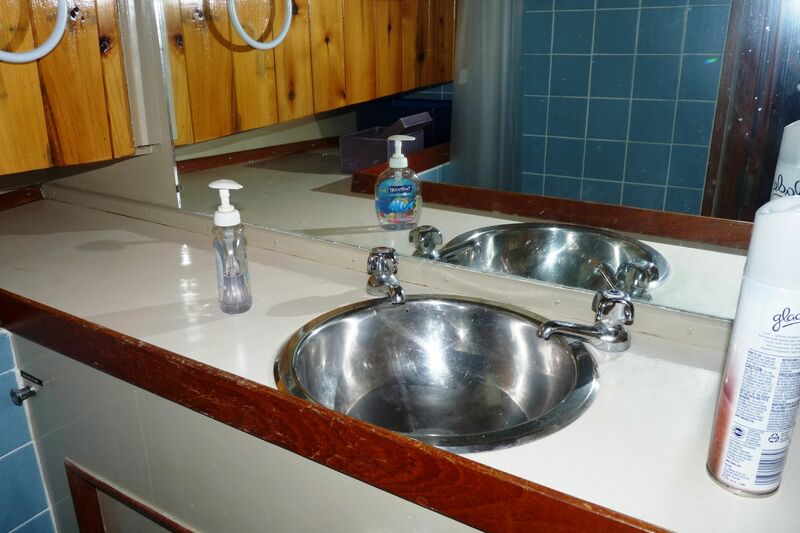 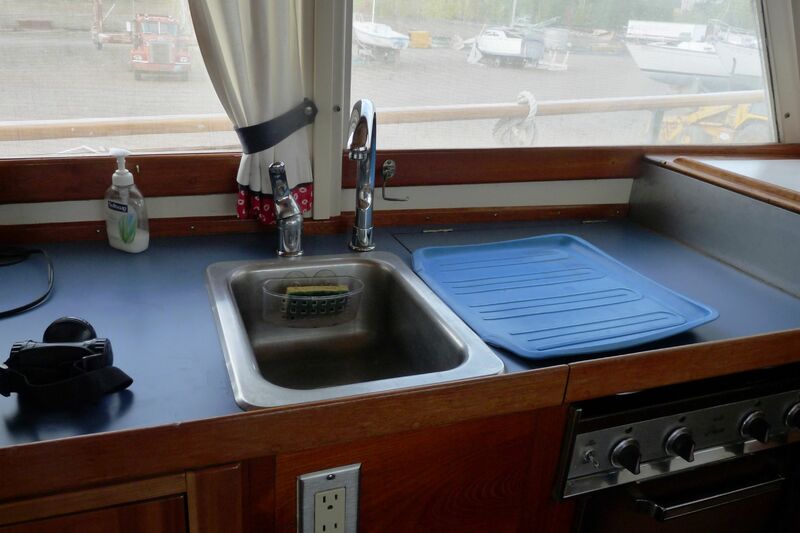 Single sink with new countertops and faucet. 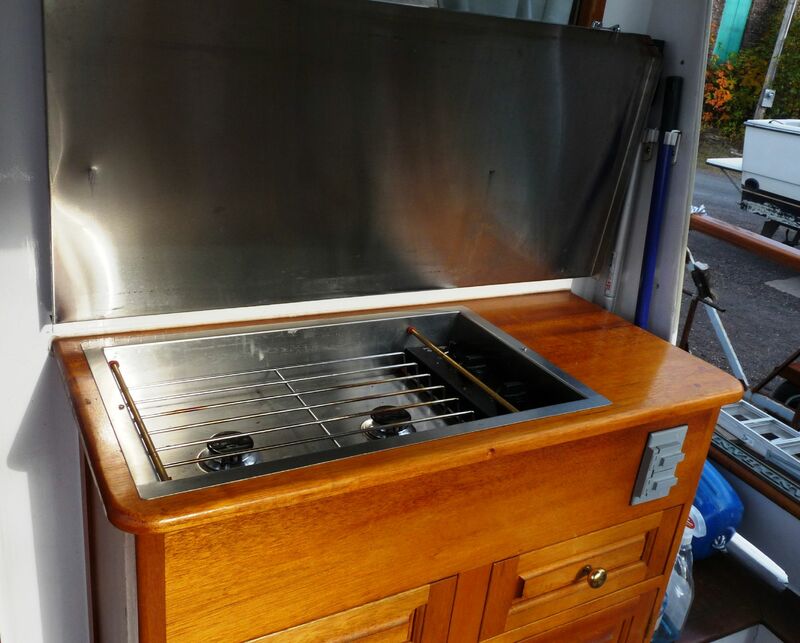 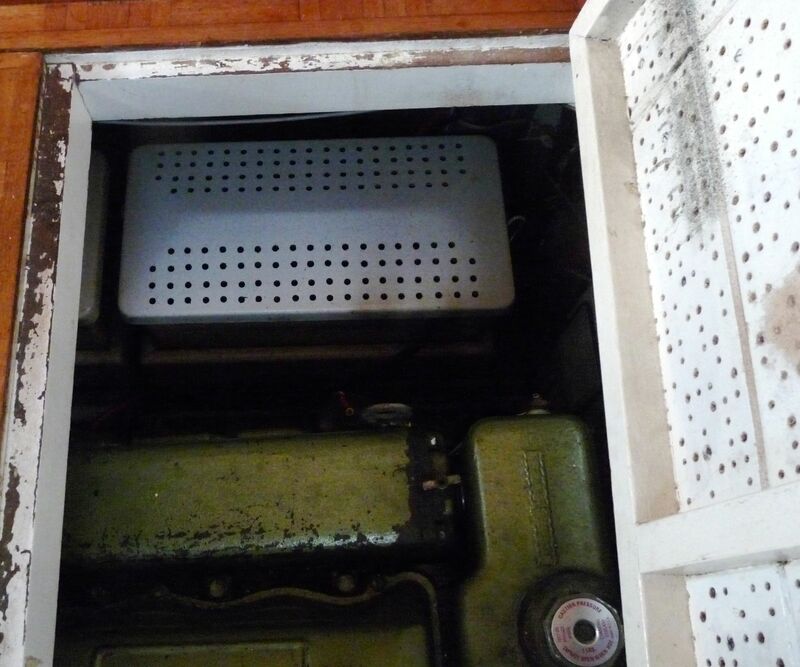 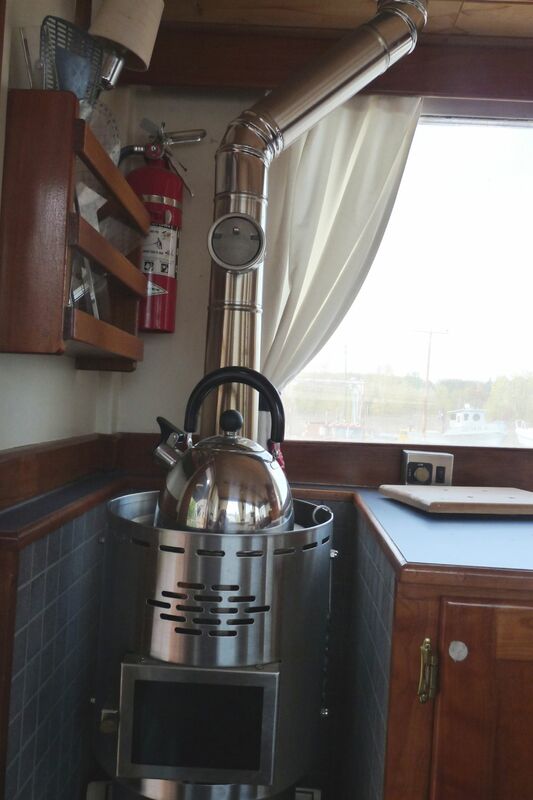 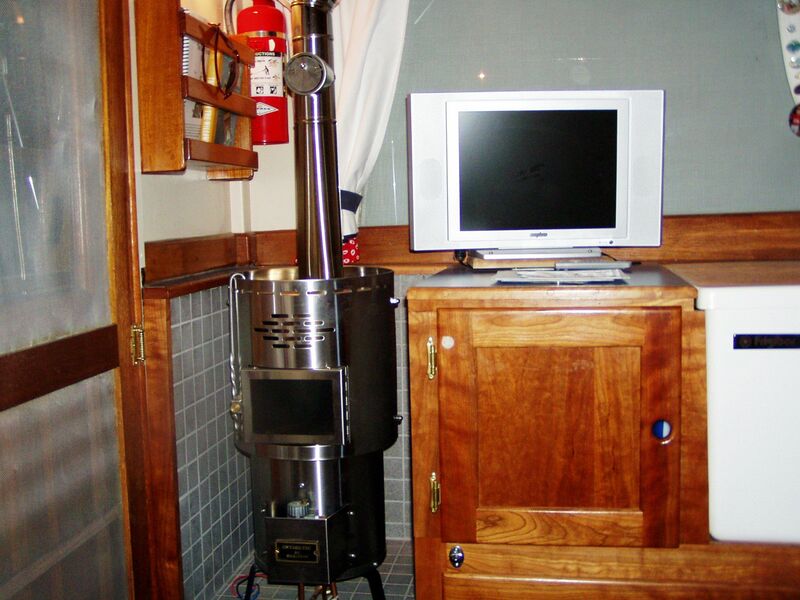 Electric stove operates at 110-volts from either shore power or diesel generator. 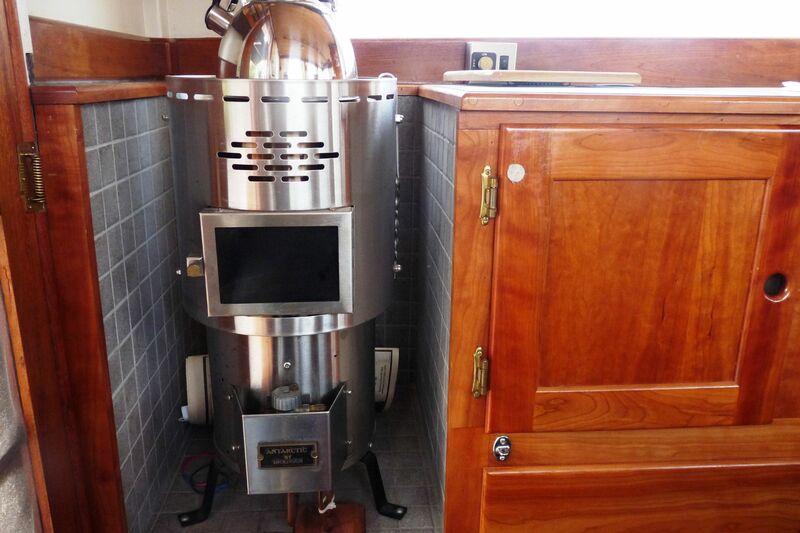 Propane outdoor stove on the back deck. 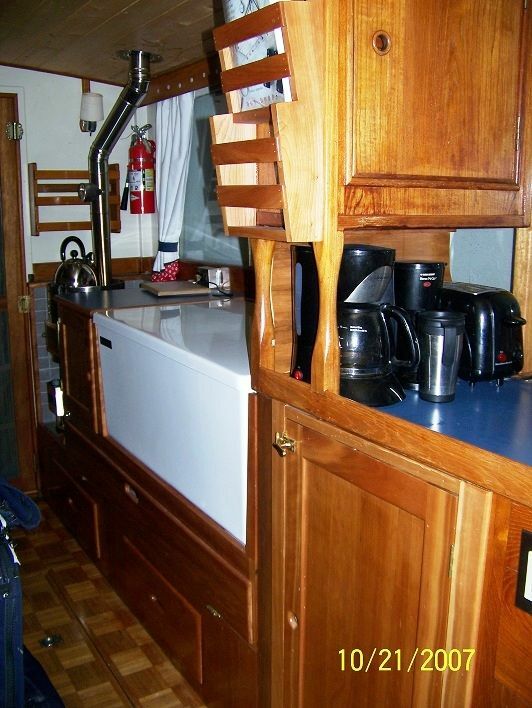 The large refrigerator is horizontal and also serves as an excellent nav station. 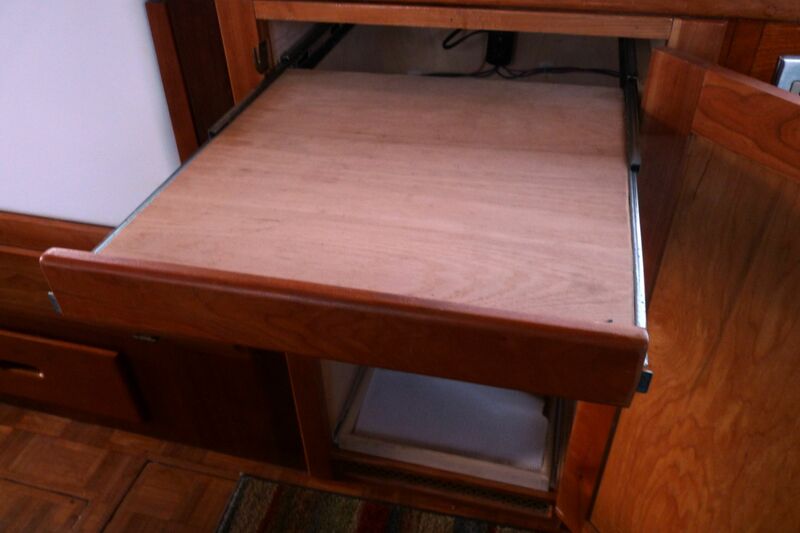 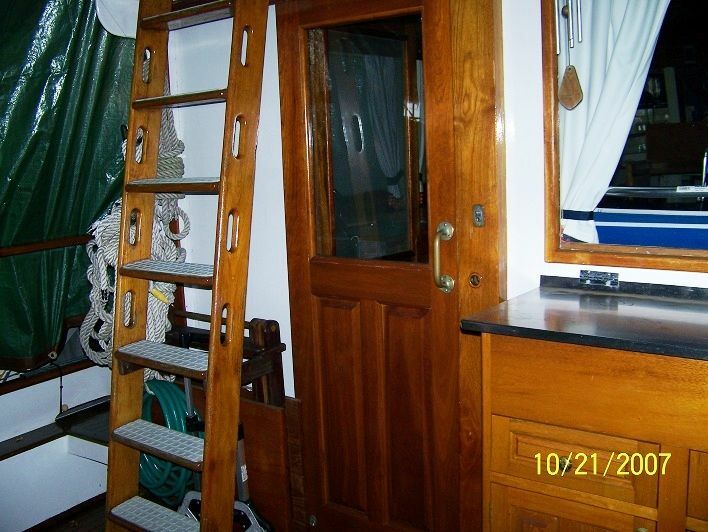 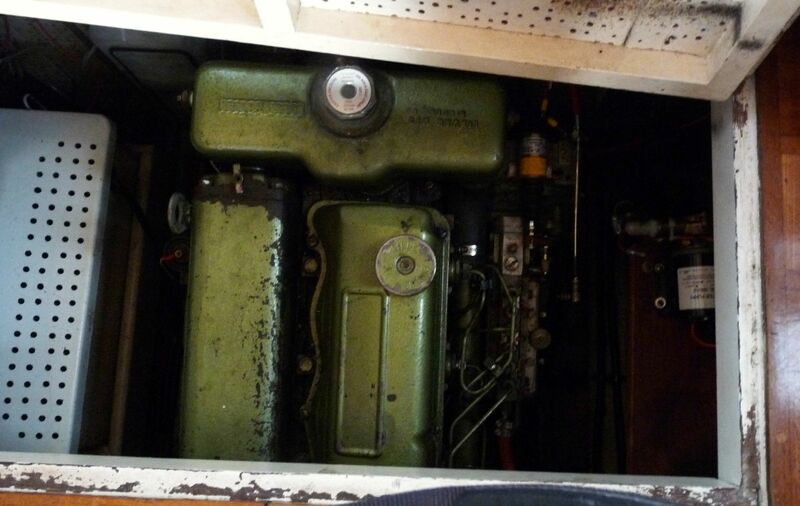 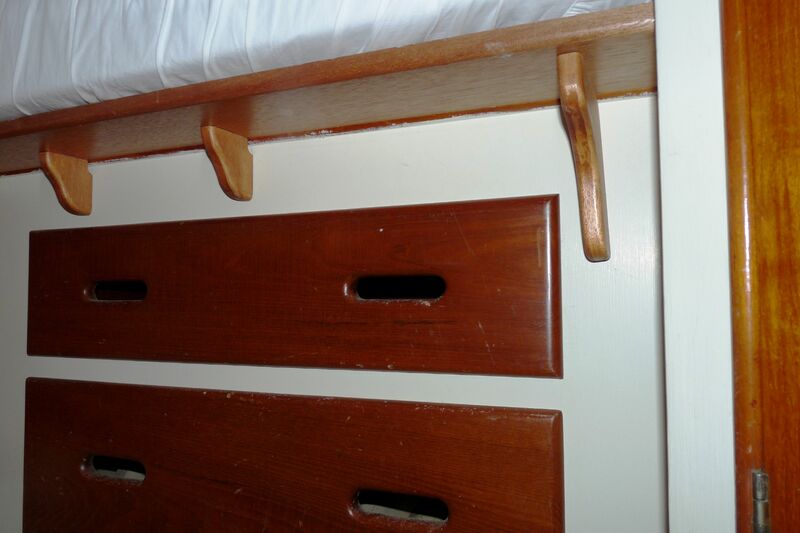 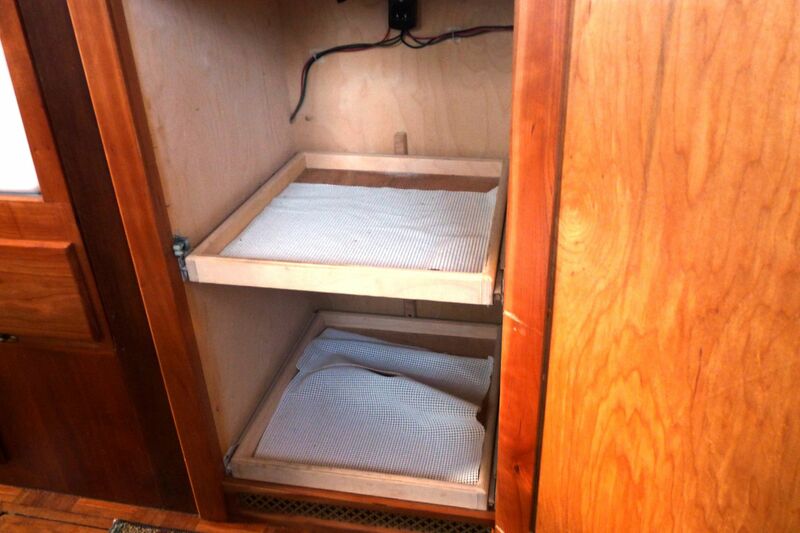 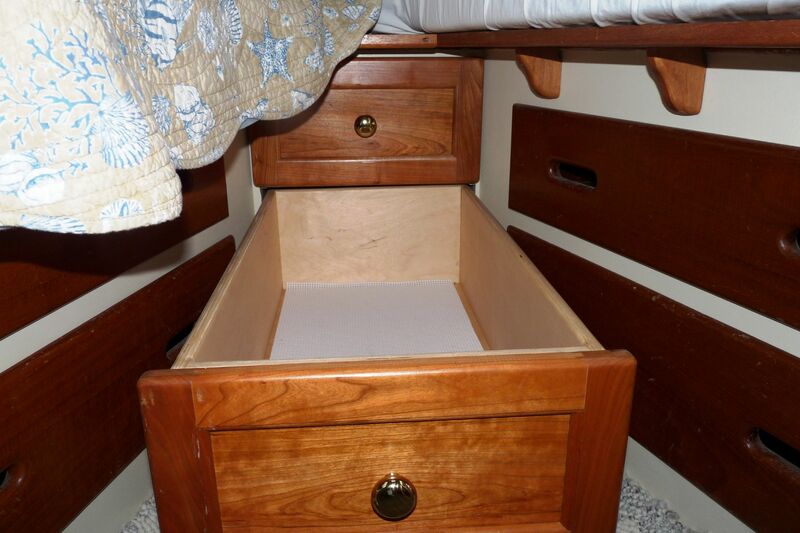 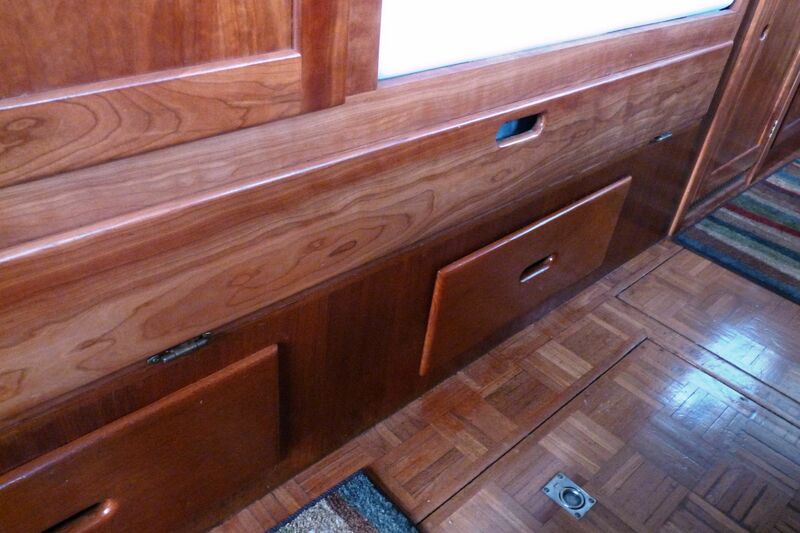 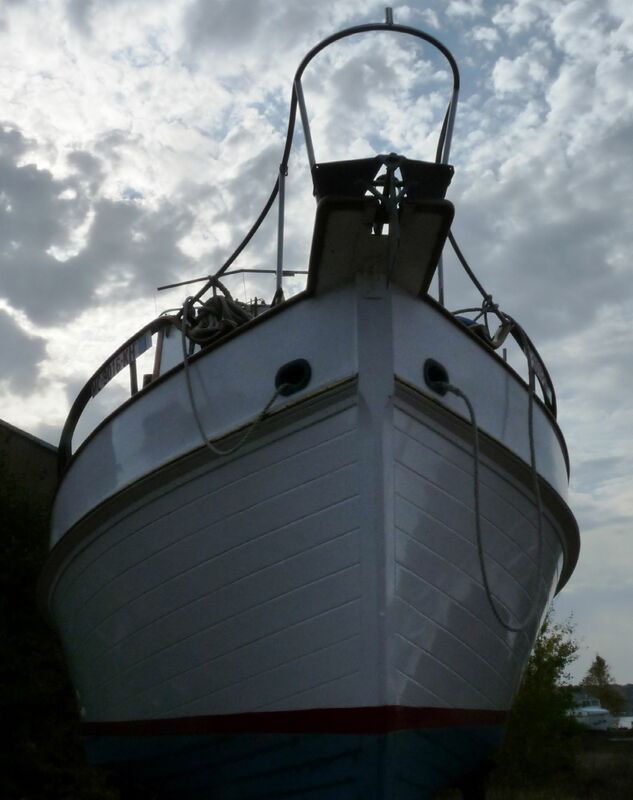 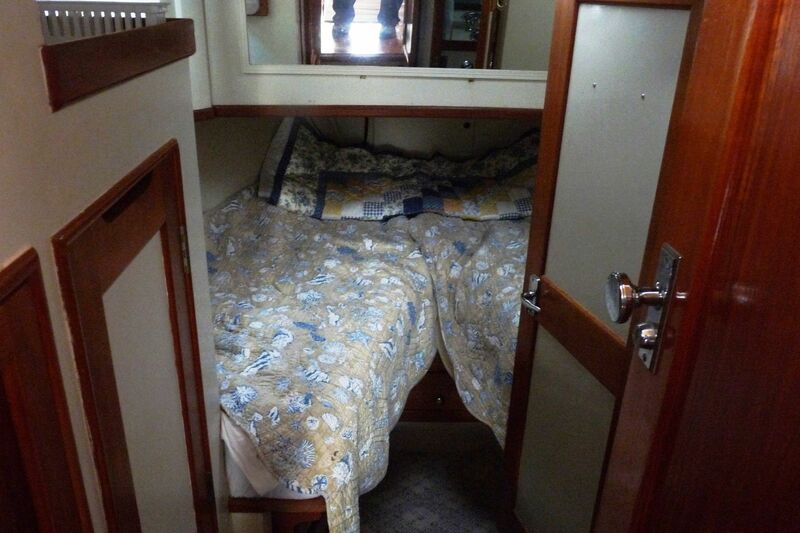 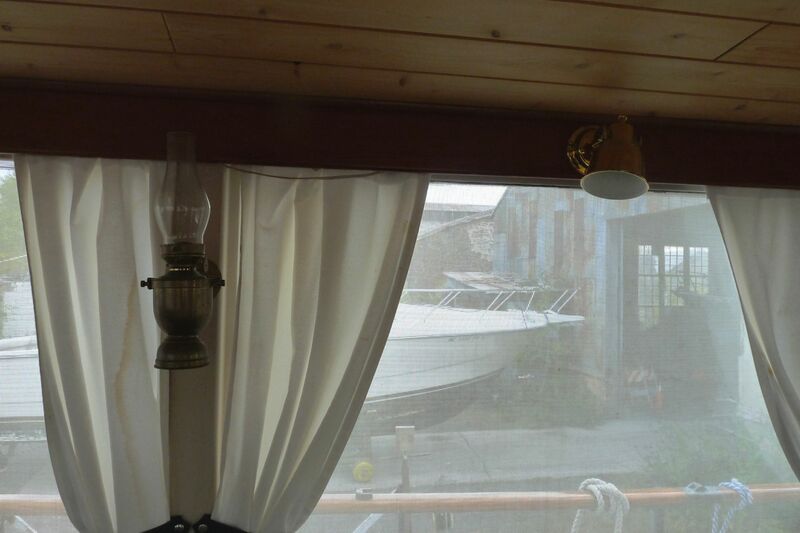 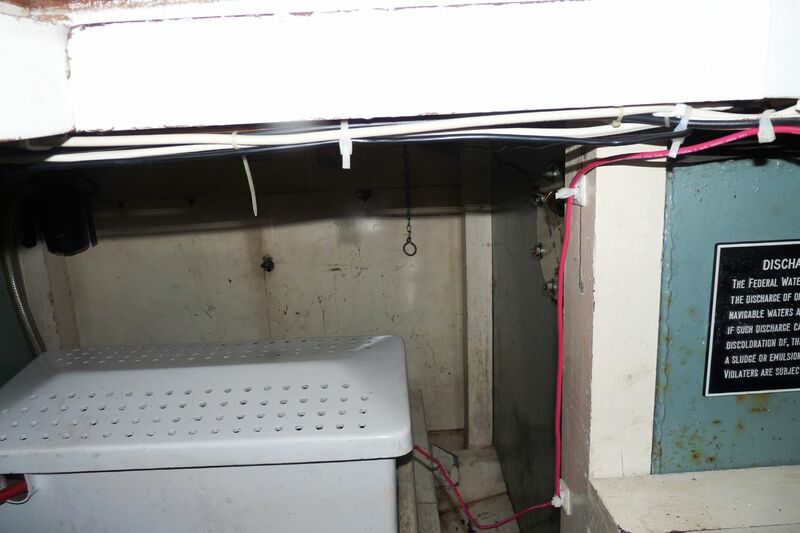 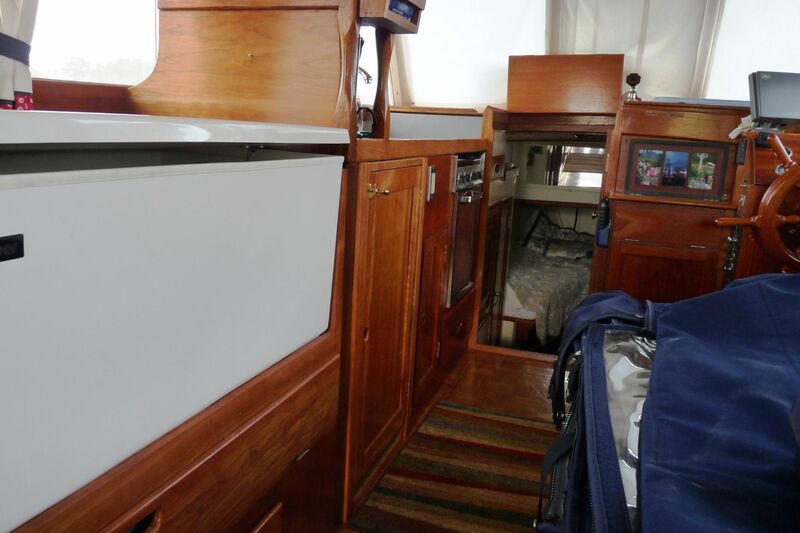 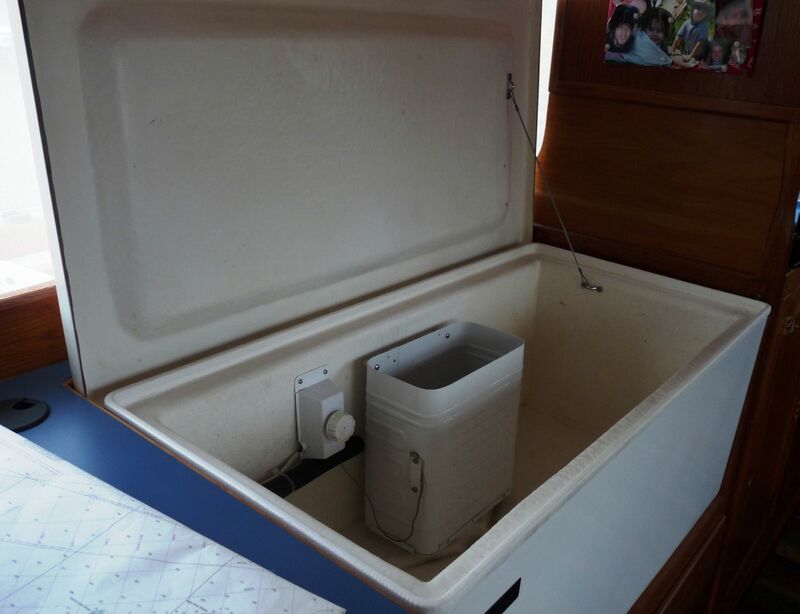 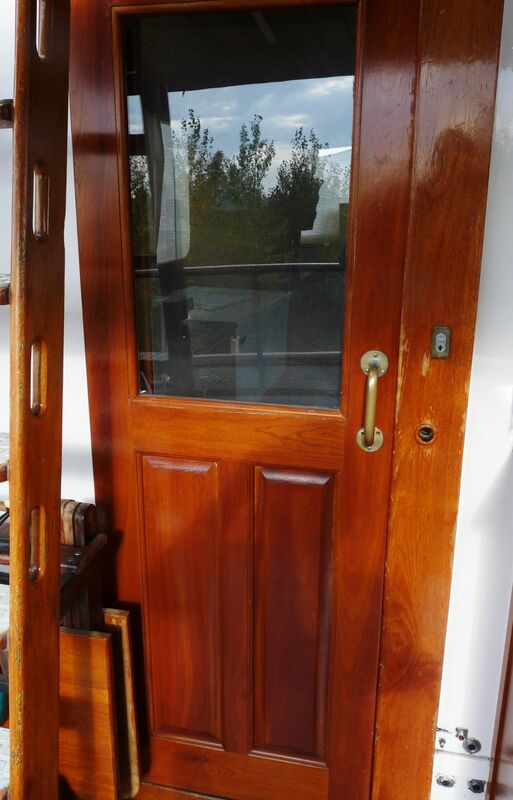 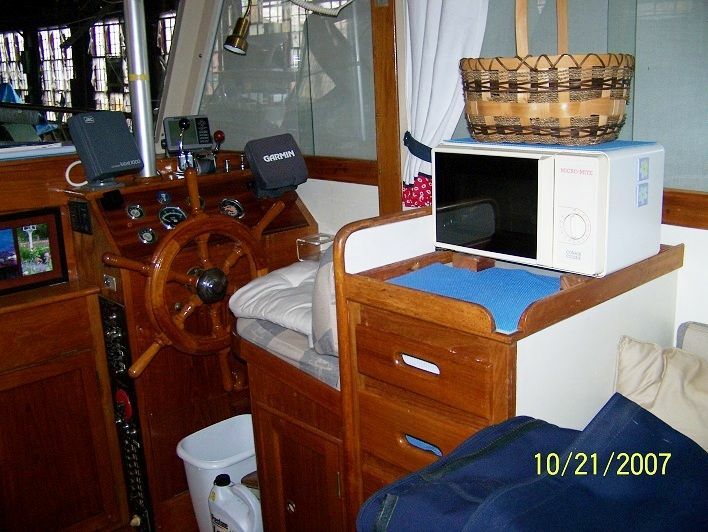 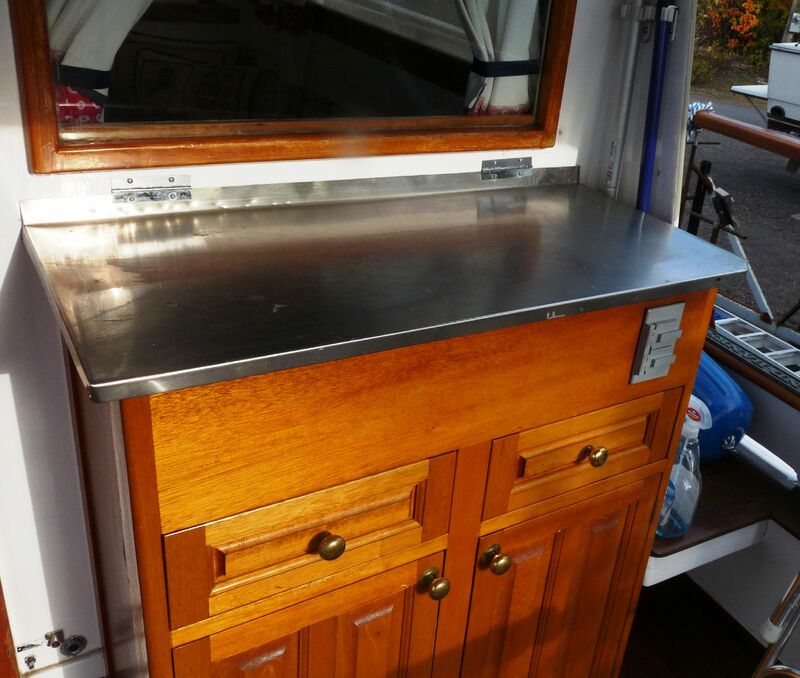 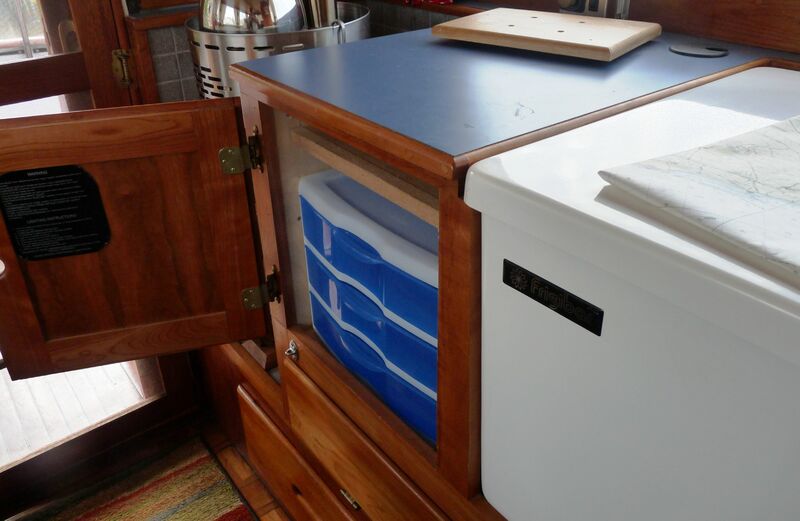 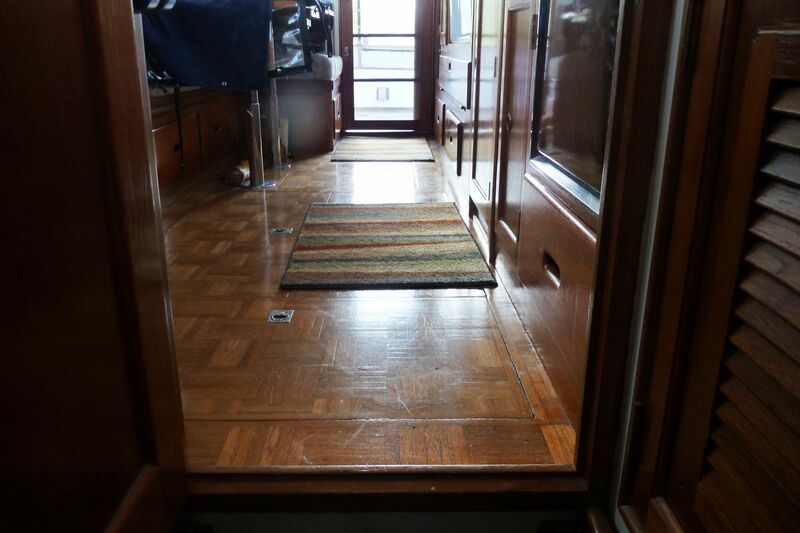 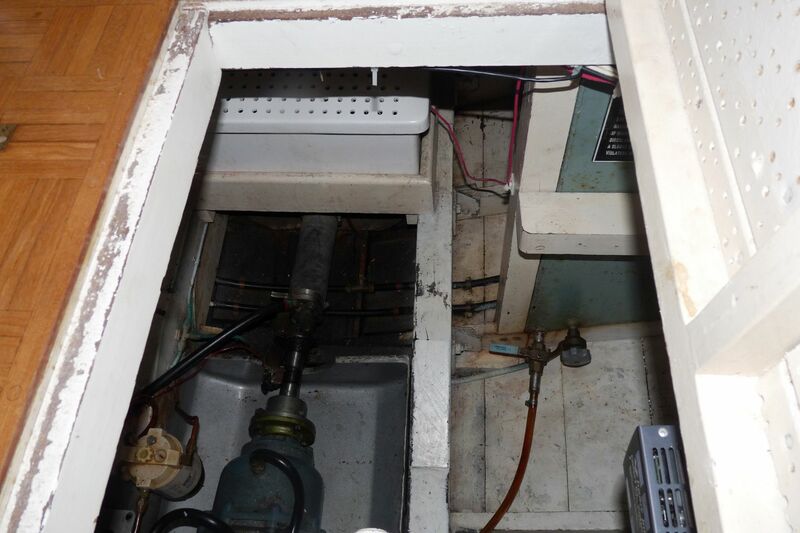 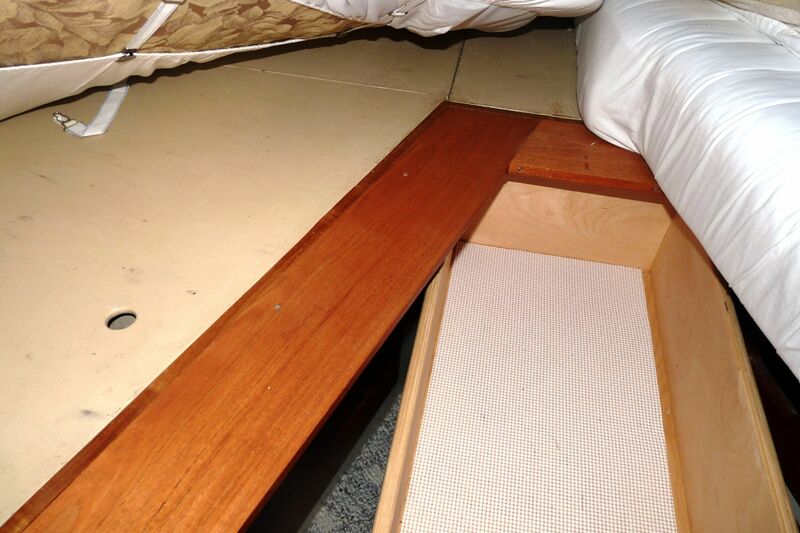 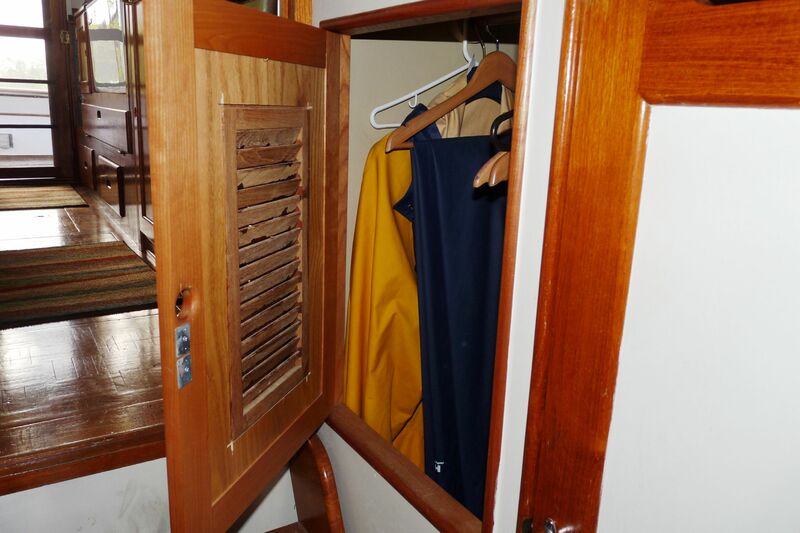 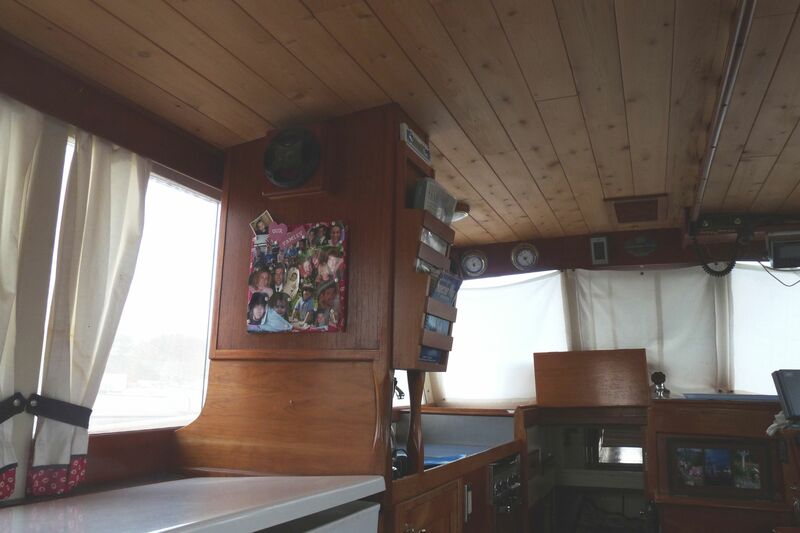 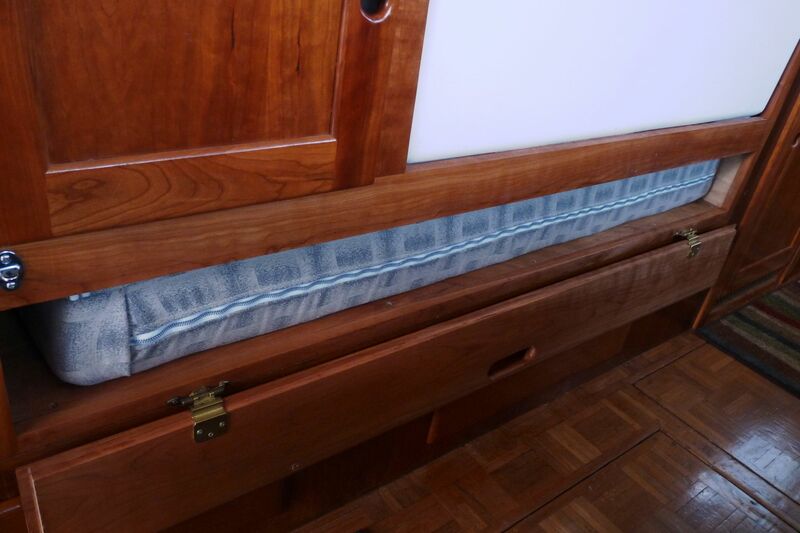 There are many storage compartments in the cabin and a large lazarette under the back deck. 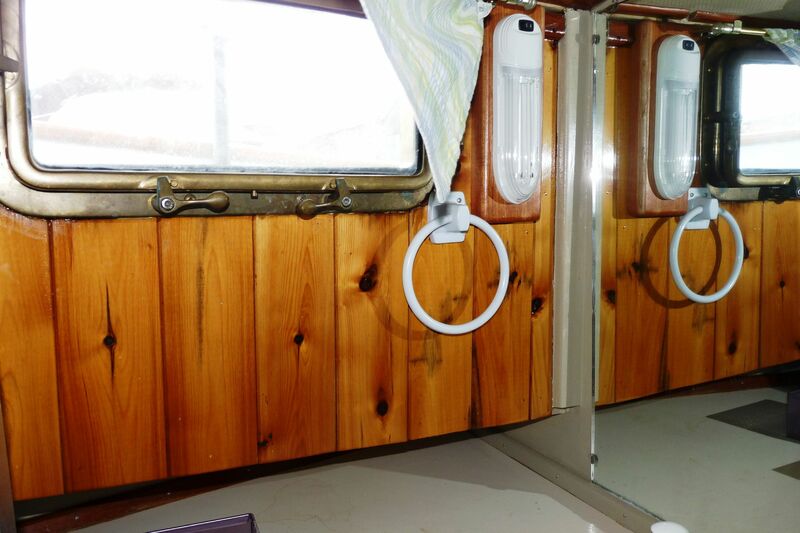 The cabin has new light fixtures. 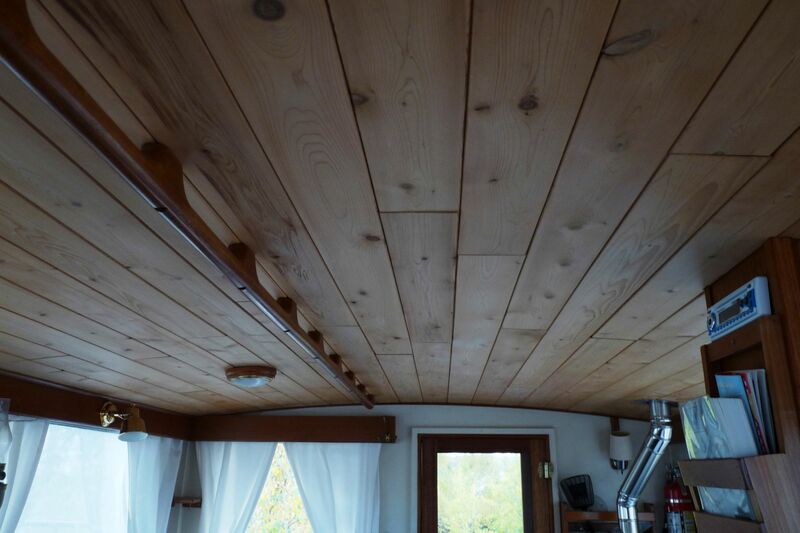 The ceiling in the cabin is white cedar beveled paneling. 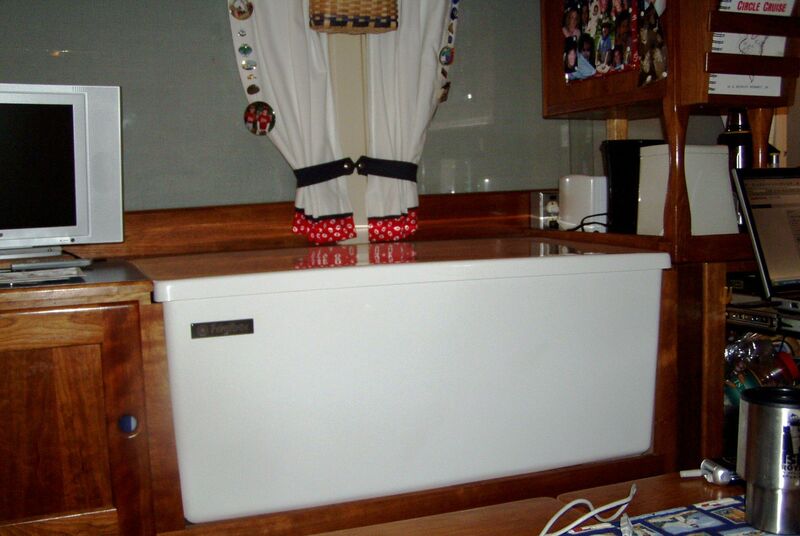 A Dickenson Antarctic diesel heater keeps the cabin 40 degrees warmer than the outside temp even at the lowest setting. 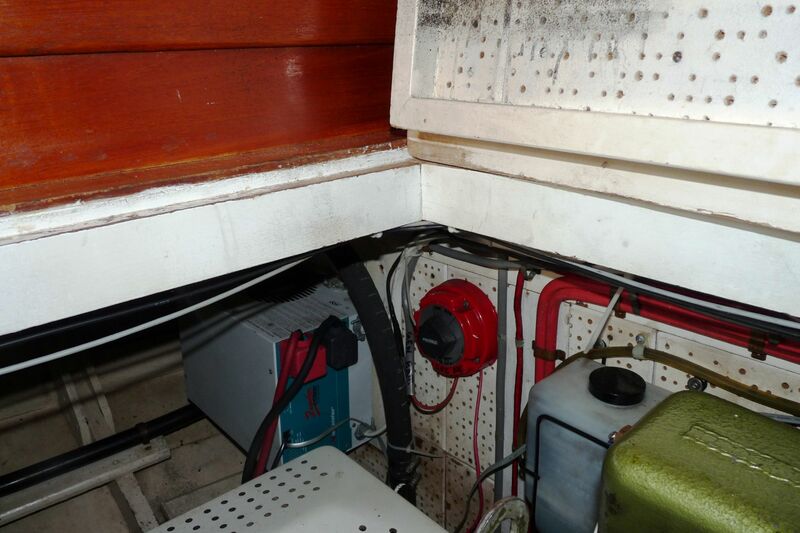 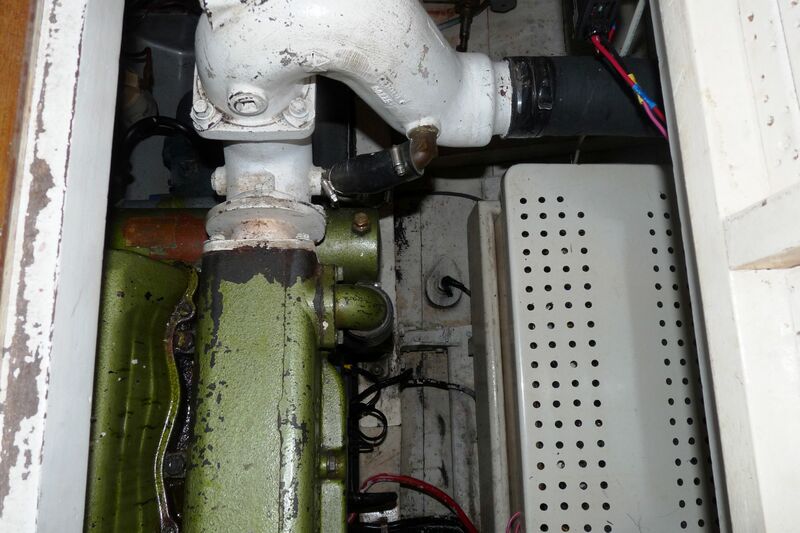 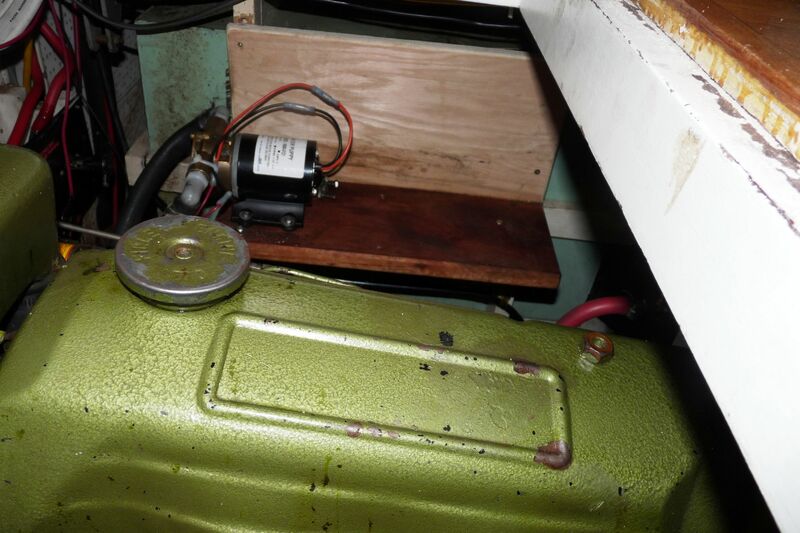 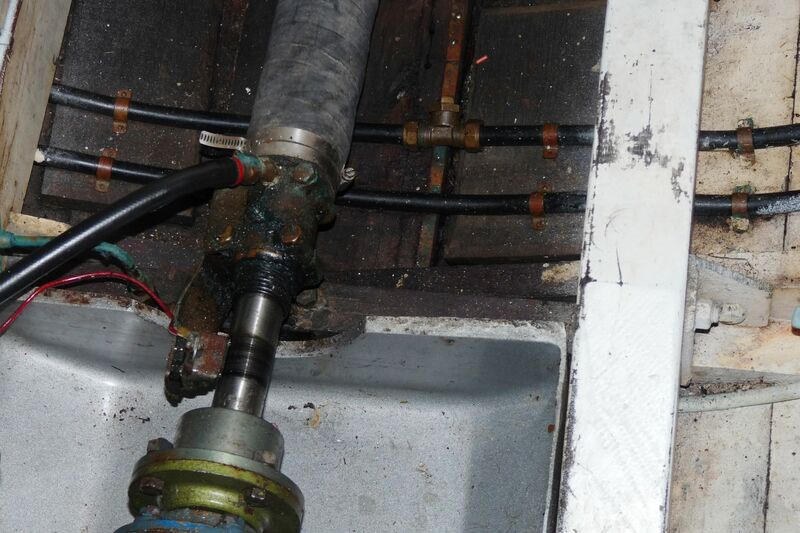 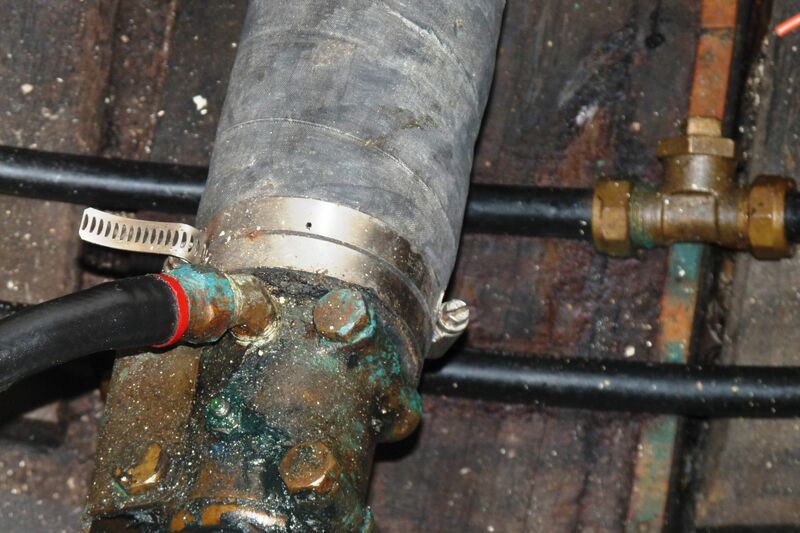 The fuel for the heater is stored in the tank in the upper flybridge and is piped to the stove via gravity making the unit very fuel efficient. 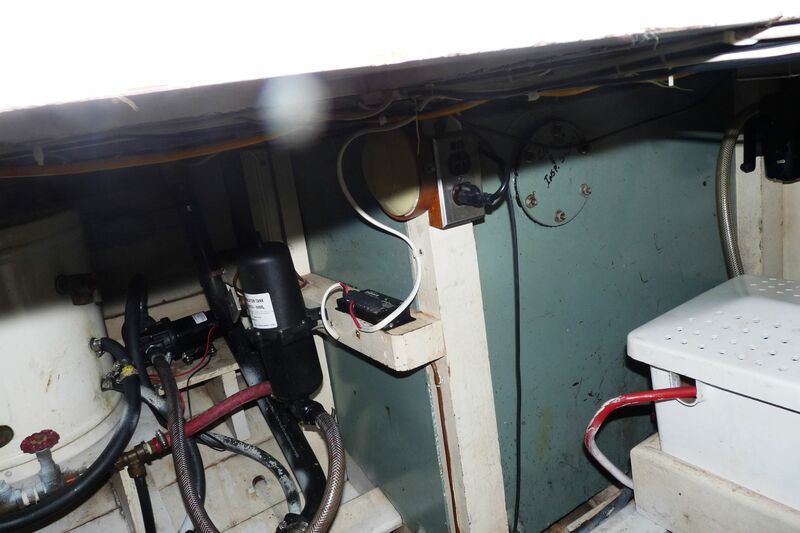 Both upper and lower helm stations have the above electronics. 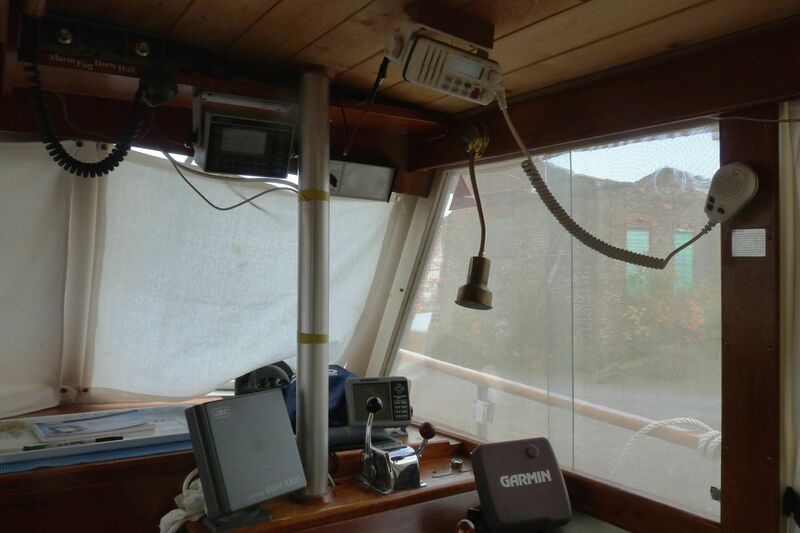 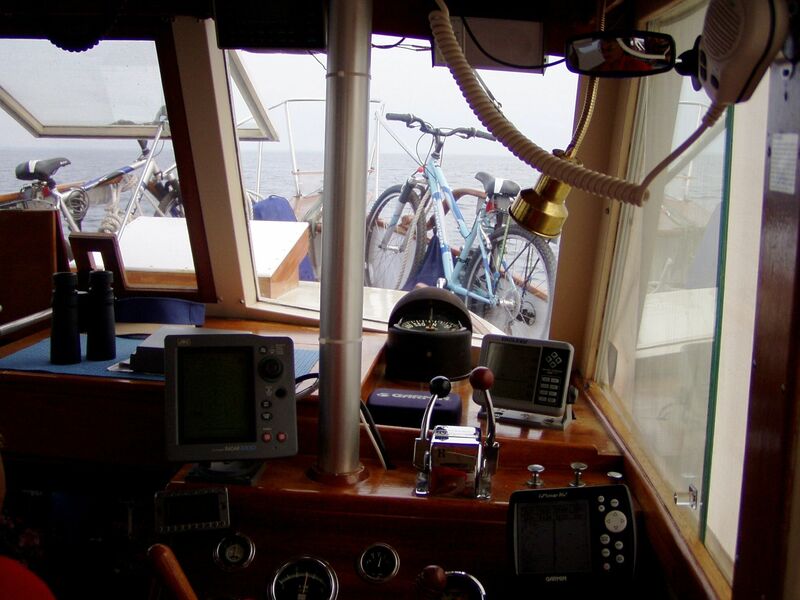 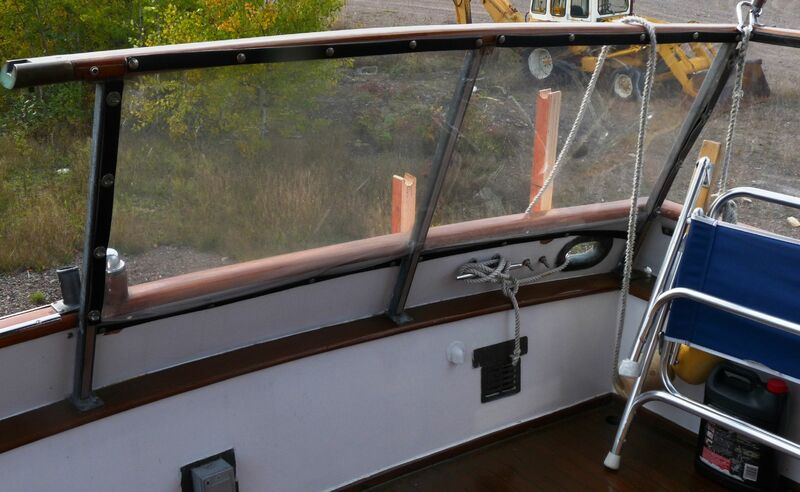 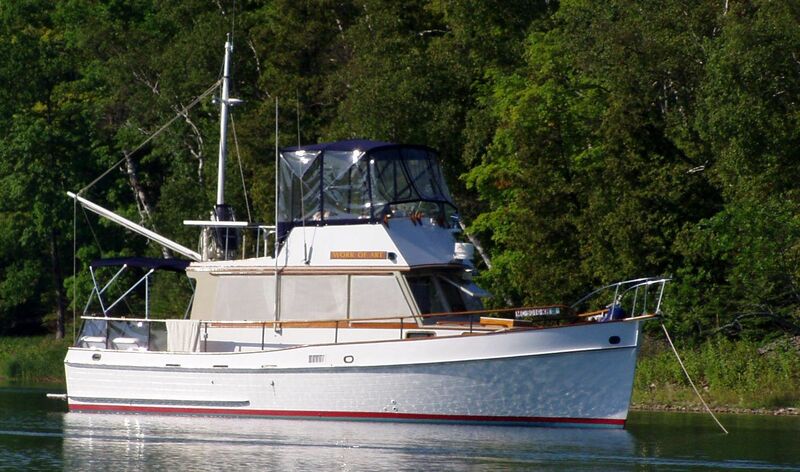 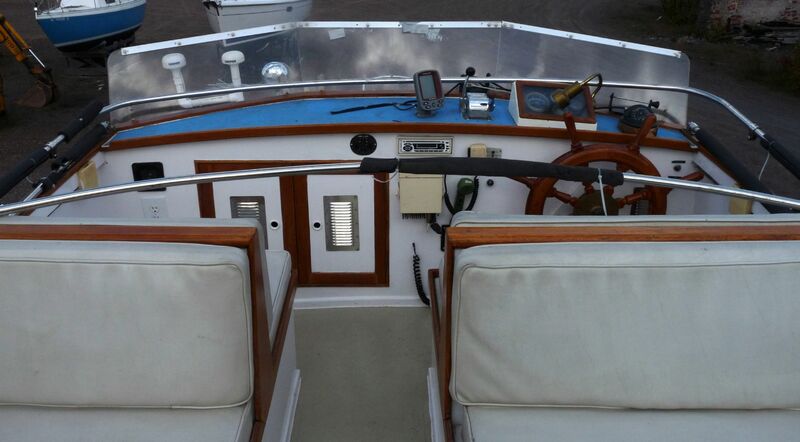 The lower station also has JRC radar, Loran C, hailer with a foghorn, wiper, intercom to upper flybridge. 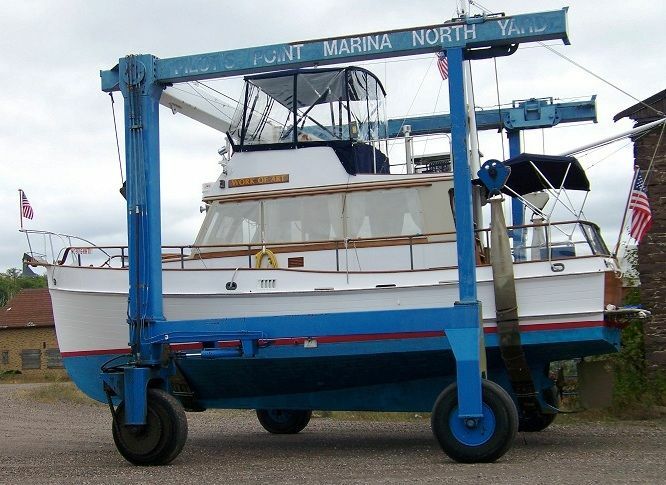 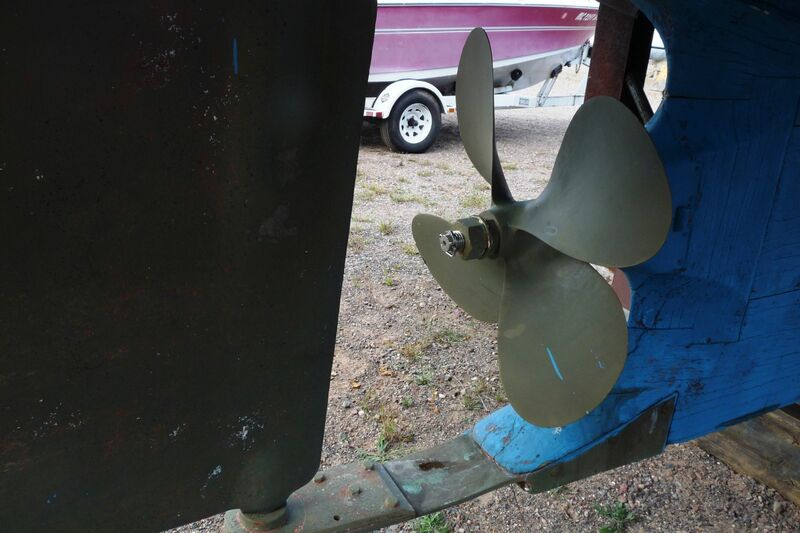 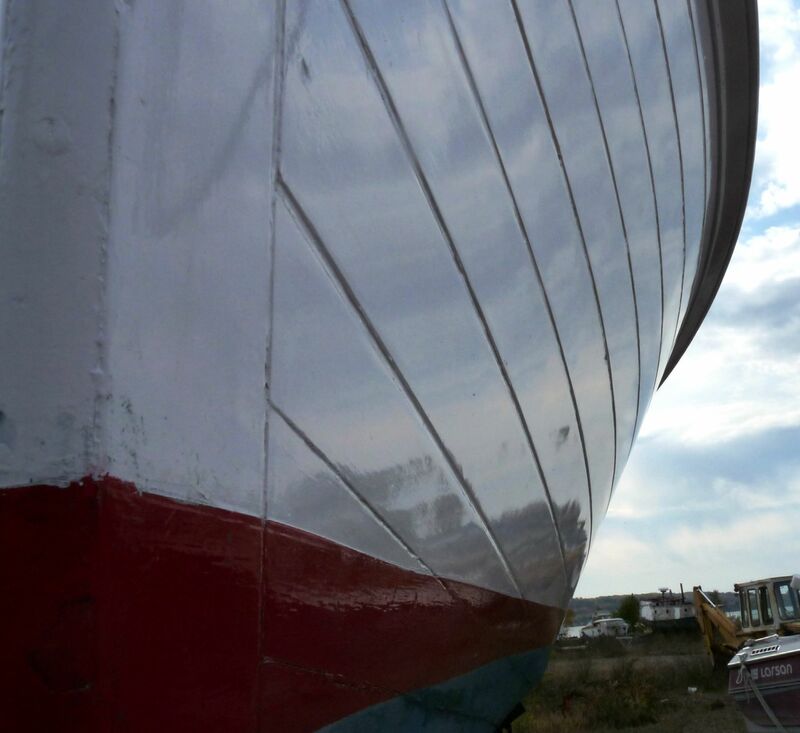 With the exception of the boats use in salt water on the current owner's great loop trip, the boat has always been in freshwater!